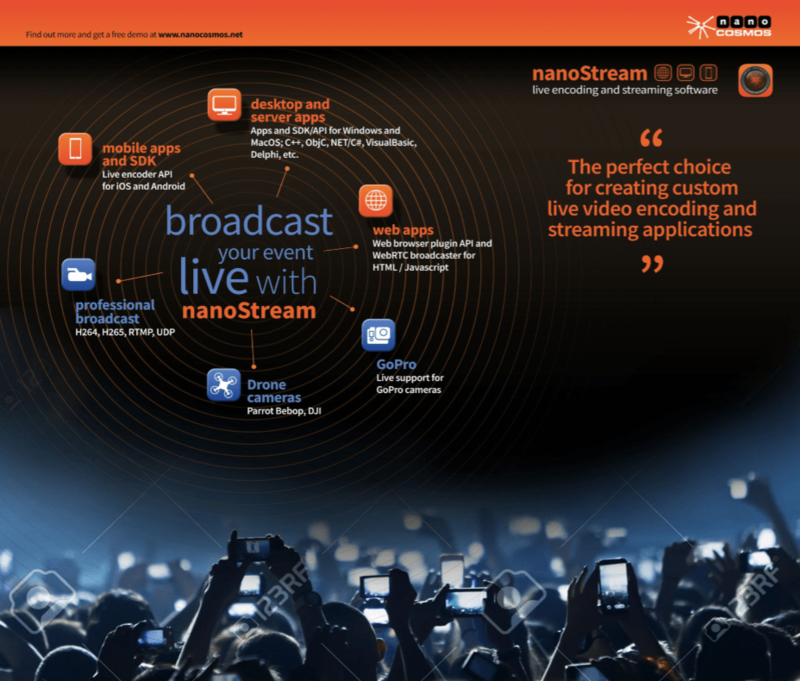 nanoStream – The easiest way to create Broadcasting and Streaming Applications! Join our team at IBC Amsterdam to talk about our latest nanoStream software solutions for Mobile, Desktop and Browser based Live Video Encoding. on iOS, Android, Windows, MacOS Desktops and Browsers. 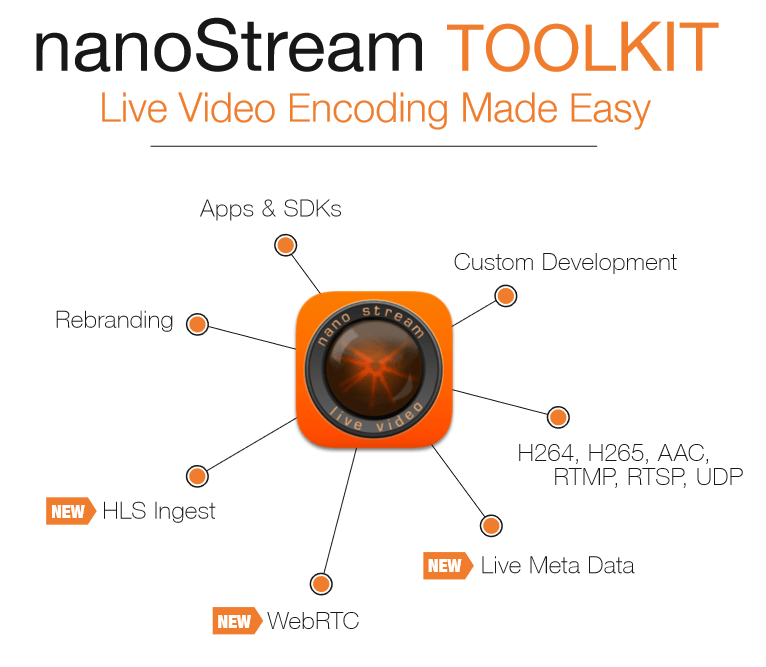 With nanoStream, you can create applications for Live Video Streaming and Sharing for Events, Sports, Music, Conferencing, Chat, Worship, and many more! and many more improvements and updates! at our IBC booth Hall 2A10. We would love to see you in Amsterdam! Customers with update and support agreements can proceed working with nanoStream 4.0 immediately.